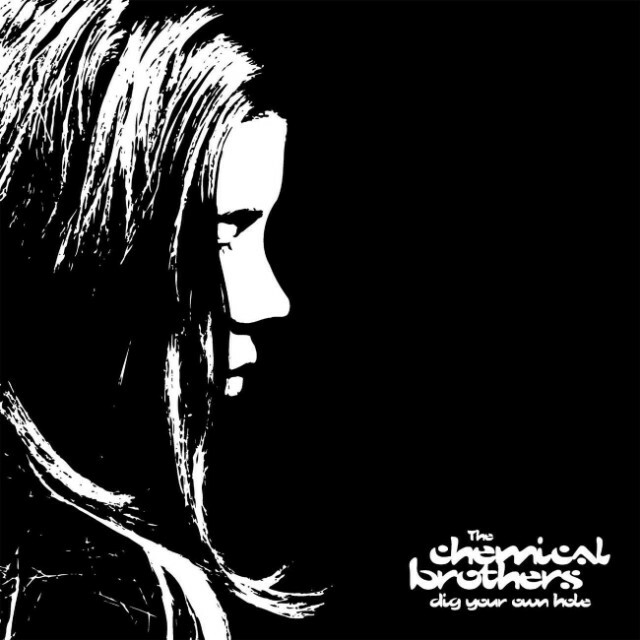 The Chemical Brothers’ Dig Your Own Hole was released April 7, 1997. Charles Aaron’s review originally ran in the May 1997 issue of SPIN. In honor of the album’s 20th anniversary, we’re republishing it here. Back in the dancing days of blues and wonder, folks used to say, “Hey, last night a DJ saved my life.” It was both a pledge of faith to the music’s demon-purging heartbeat and a wink at its ephemeral expense (sweat rarely smells so transcendent the morning after). But nowaday, DJs are not only cheap-date saviors, they’re nihilistic mystics (Tricky), consecrated storytellers (DJ Shadow), soul-stirring apostates (Orbital, the Orb), and U2’s personal trainers. Plus, in their spare time, they’re supposed to revive rock ‘n’ roll, MTV, and the Musicland record chain. To which the Chemical Brothers reply, “Back with another one of those block-rockin’ beats!” In other words, Dig Your Own Hole, the follow-up to 1995’s Exit Planet Dust, is a straight-up, “Last Night a DJ Saved My Life” reaffirmation as well as a gleeful cop-out. Amyl-sniffin’ Brit beat junkies, the Chemicals—Tom Rowlands and Ed Simons—want to shake your foundation as much as the next DJ savior, but after that you’re on your own. Their digitally dense breakbeat workouts offer a funk-at-your-own-risk proposition. And their millennial philosophy is of the 2000-zero-zero-party-over-oops-out-of-time variety. As a result, there’s no electronic corollary to “Smells Like Teen Spirit” here, nothing that leads you by the hand through the compromised land (though the video for “Setting Sun,” which spies rave culture’s flip from under to overground through the eyes of a bewildered teenaged girl, almost tries). All the Brothers want, God forbid, is to create a better place for just one night by cramming together all their favorite records. No more, no less. After Exit Planet Dust was branded the “electronica as new alt-rock Ur-text,” the industry clamored for the duo to marry rock to techno and birth a utopian new format, but the Chemical Brothers simply shrugged. Coming of college age in the backyard of Manchester’s late-’80s acid house, Rowlands and Simons experienced Mancunian rock bands (Happy Mondays, Charlatans) and DJs (A Guy Called Gerald) sharing the same fans. For them, “utopia” was a pit stop on the way to discovering old-school hip-hop. As a result, their sound is a wildly democratic ram jam—funk bass lines thumbed and plucked beyond recognition, guitar riffs crudely disenfranchised, and drums, drums, drums until you believe in the revolution of, well, drums. Killing Joke gets cold-crushed with Bomb Squad, Magic Mike booty-calls the Beatles. It’s a clattering, brazen update of Coldcut’s 1989 album What’s That Noise?, which somehow found room at the same table for Queen Latifah and Mark E. Smith. “Block Rockin’ Beats” sets off the sonic free-for-all, dropping bombs (and not just metaphorically) as bass lines detonate on impact. The title track’s treated guitar riffs do demolition-derby figure-eights, sirens wail, disco whistles blow, and a drum break plows into what sounds like a sheet of aluminum being whacked by a monkey wrench (Rowlands and Simons are beat mechanics). DJ Kool Herc gives a staticky shout-out and a sample of outrageously voluble rapper Keith Murray intros “Piku,” asking, “Who is this doin’ this synthetic type of alpha beta psychedelic funkin’?” The Chemicals fire back a funky meteor shower of shattered cymbals that rudely turns rock ‘n’ roll over hip-hop’s knee. Chemical beats have a rakish, presumptuous swagger that’s immediately recognizable amid electronica’s traditionally shy guise (though others, such as Death in Vegas, Fatboy Slim, Crystal Method, and Omar Santana, are also stepping up). “Setting Sun,” the album’s centerpiece collaboration with Oasis’s Noel Gallagher, is a nasty blast of cornpone techno, a jaded ’90s spin on a jaded ’60s Abbey Road acid-test with a fat “Tomorrow Never Knows” punch line. Unwilling to believe their own hype, the Chemicals push such self-mocking sonic yuks center stage (take my break-beats, please! ).